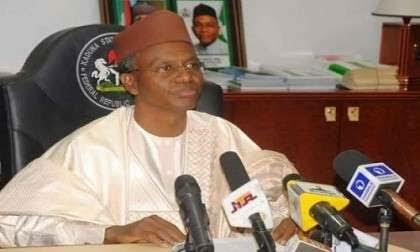 The Kaduna State Government on Saturday announced the appointment of heads for the 77 restructured districts. Senior Special Assistant on Media and Publicity Mr Samuel Aruwan announced the appointments in a statement in Kaduna. Aruwan said the appointments followed the conclusion of checks and assessments of the 230 nominees forwarded by the 32 emirates and chiefdoms in the state. According to him the reduction is part of the government policy of reducing the the size of the government. “The Kaduna State Government disclosed in June 2017 that the state was returning to the 77-district structure that existed prior to 2001. “The government reached the decision after due consideration by the State Executive Council of the report of a committee that examined district and village administration in the state. “A meeting of the State Executive Council on 24th April 2017 had concluded that no scientific criteria or strategic consideration could be found to justify the expansion in the number of districts from 77 to 390. “Instead, political expediency appeared to have motivated this proliferation that imposed the burden of paying personnel of the 313 extra districts on the 23 local government councils. “This proliferation also severely reduced the prestige and respect attached to the office of district head. “On 25th April 2017, Malam Nasir El-Rufai consulted the State Council of Chiefs which requested two weeks to deliberate on the matter and submit a report. “The State Council of Chiefs eventually communicated its support for the restructuring of districts via a letter dated 8th May 2017,” he said .